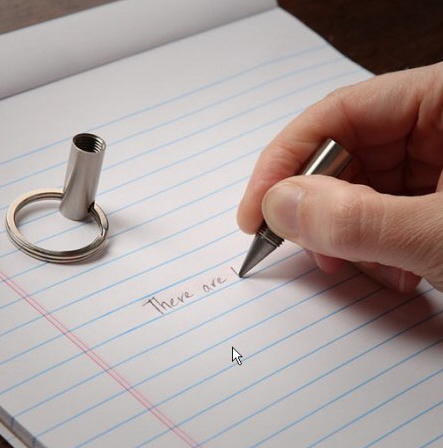 A new product hitting the Market thanks to our friends at ThinkGeek is this sensational inkless pen. It happens to me quite often, being without a pen to write down that number but this product may be the answer to many prayers. 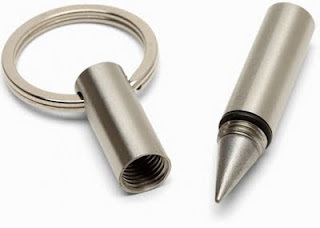 The unique product offering comes attached to a keyring, uses a metal ink product (to write in metal) that never needs refilling or sharpening. Due to overwhelming demand (outstripping supply) and cost increases from the manufacturer, customs and international freight forwarders, this product is now costing $105.00 + shipping, effective immediately. All existing orders (ordered prior to this update) will be honored at the advertised price. It seems that I grossly underestimated the popularity of this product. With demand currently outstripping supplies, we count less than 20 units (7 in silver and 12 in brass) left in inventory. We apologise for the inconvenience and congratulate the early adopters for their wise and early buying decisions. 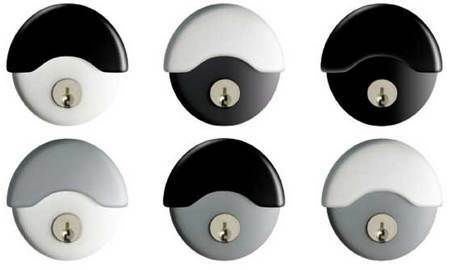 HM Cowdroy also produce similar shaped cavity door pulls and dummy handles as well as privacy sets. We anticipate a small inventory will be available in due course. We will soon be releasing a new product to entice discerning customers. A wireless, bump proof and virtually pick proof (thanks to Bilock) remote control operated touchpad deadbolt lock that easily replaces almost any existing tubular deadbolt on the market. 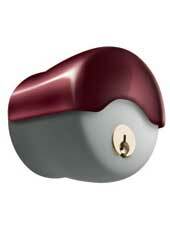 The product will come with 3 Bilock keys and 2 remote controls (standard), and is weather resistant. 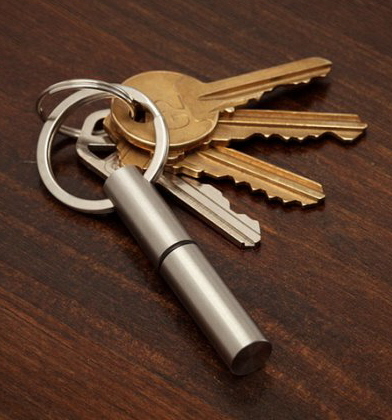 This product would suit computer rooms or communal office entries without the need to hand out keys. Up to 10 remotes can be purchased and 200 user codes can be programmed. Pictures and pricing options will be uploaded soon. Stay tuned! 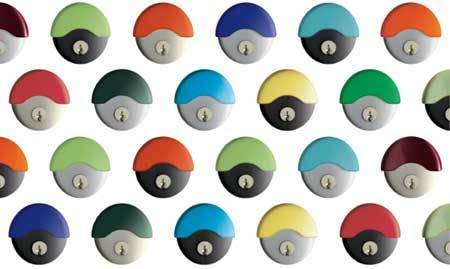 LockFocus, the well known Australian lock products manufacturer have done it again. They have produced an update version of a battery powered electric strike. We have received numerous inquiries about our past article on the now discontinued IR Microlock - Battery Powered Electric Strike and have been attempting to source a competitive alternative. We are happy to announce that we may have found that product. This product may indeed provide the solution that many of our clients are seeking. 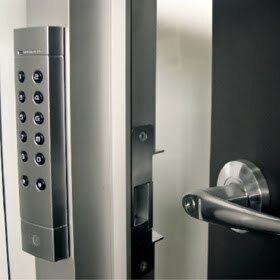 The perfect alternative to wirefree access control. The battery powered electric strike by Lock Focus offers an economical alternative to apartment complexes, pools, communal access doors without the need to run expensive cabling and power hook up. Designed to offer a potential 30,000 uses (3 years use), it is the perfect alternative to high traffic access control without necessarily issuing keys. Up to 200 user codes can be input. Stay tuned for availability options. UPDATE 5/19/2011: We have arranged some samples from the manufacturer and a small quantity of inventory. We expect to have them in about 3-4 weeks. We are estimating the price at around US$475.00 each, but this is not confirmed at this time. UPDATE 5/24/2011: We are now accepting pre-orders for this sensational product. We are expecting 24 units to arrive in about 30 days. Please email us with your desire to purchase and we will contact you privately with further details. UPDATE 7/22/2011: Product is available now! I'm quite excited about the Combina handles that are arriving soon. I have been showing around a display model that is attracting significant interest. 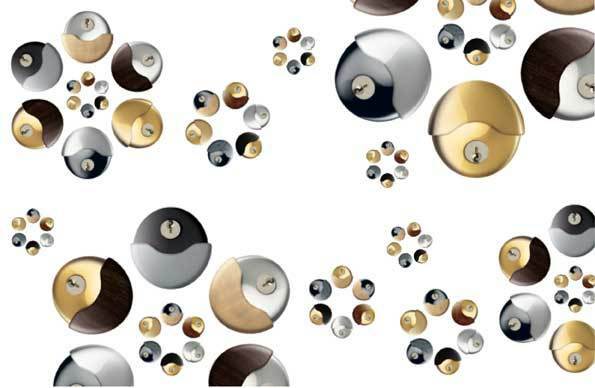 Architects, Interior Designers, Aged Care Homes, are liking the product.